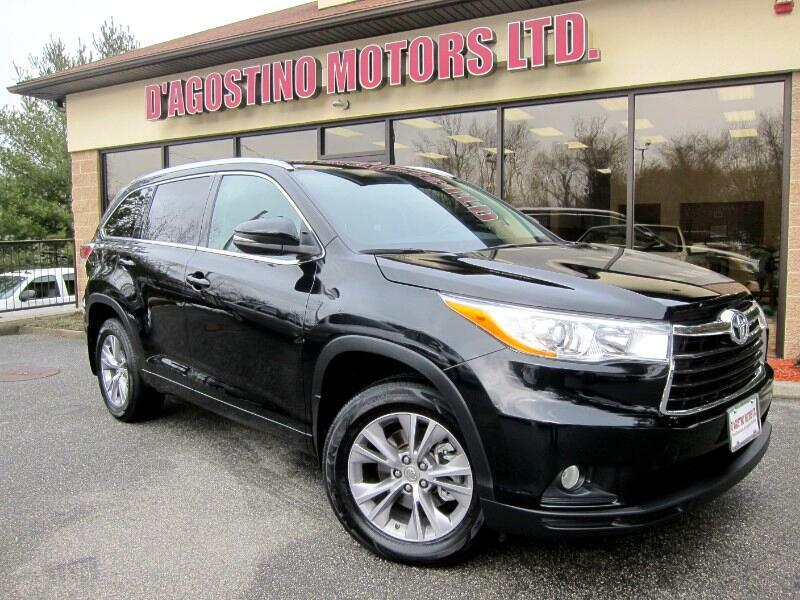 Used 2014 Toyota Highlander XLE AWD V6 for Sale in Smithfield RI 02917 D'Agostino Motors Ltd.
NEW ARRIVAL !!! YOU JUST CAN'T BEAT THE RELIABILITY AND DURABILITY OF A TOYOTA !!! THE HIGHLANDER HAS A BRAWNY OUTSIDE APPERANCE AND A COMFORTABLE INTERIOR !!! THIS ONE COMES EQUIPPED WITH NAVIGATION , BACK UP CAMERA , 3RD ROW SEATING , BLUETOOTH PHONE CONNECTIVITY , MULTI FUNCTION STEERING WHEEL , POWER REAR HATCH , AM/FM CD MP3 AUDIO SYSTEM , AUXILIARY INPUT , HEATED LEATHER SEATS , POWER SUNROOF , 18'' ALLOY WHEELS. Come Experience the D'Agostino Difference! We Go Through our Vehicles with a Fine Tooth Comb from All Mechanical Aspects to an Extensive Reconditioning and Detailing Process, Expect to View the Cleanest Vehicles in New England Guaranteed !! !